This large custom shaker bottle allows for easy mixing of protein, nutrition and meal replacement drinks as well as eggs, pancake batter and salad dressing. Measurement markings on the side make mixing error-proof and a colourful screw on lid with a snap closure and wide mouth makes adding ingredients easy and convenient. 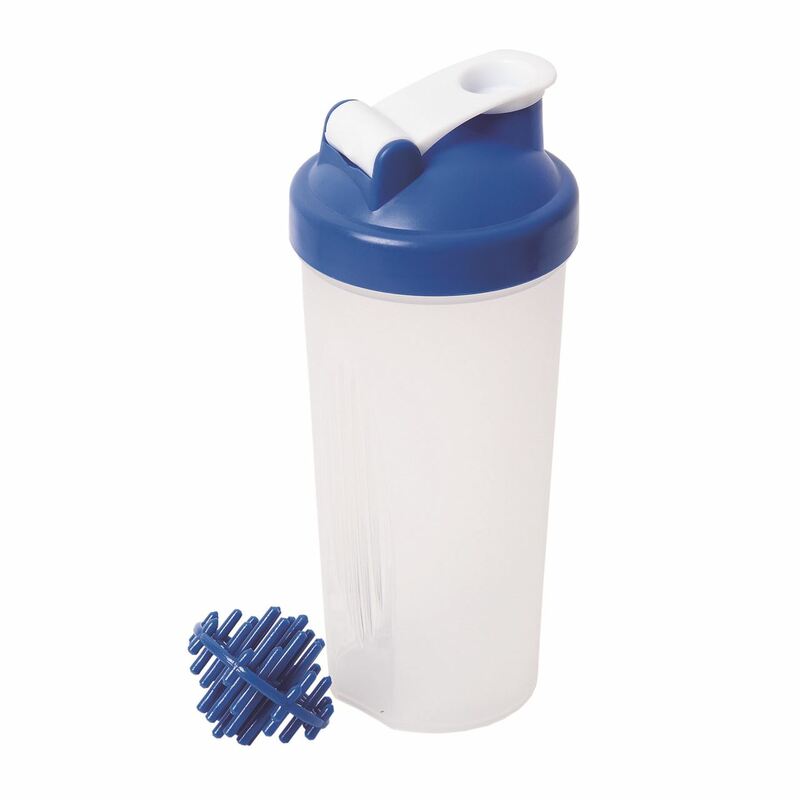 A plastic shaker ball, that matches the lid colour, helps blend contents to a smooth consistency.